ACCESS TO DEBT CAPITAL FOR YOUR STARTUP! Debt financing is integral to the growth and success of many companies. For startups, seeking debt financing can be a frustrating, difficult process. 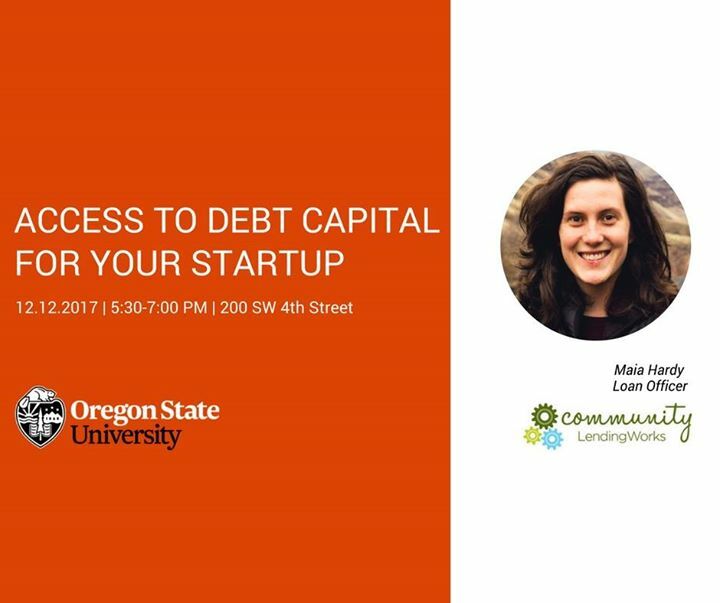 Maia Hardy from Community LendingWorks will be providing information on you can position you and your business to be “loan ready”. Understand what lenders will be expecting from you, and learn how lenders evaluate you and your business during the underwriting process. Maia will be talking about Community LendingWorks’ innovative loans, and other options available through other lenders. If you are seeking capital in the next year, join us for a fun, causal chat about getting your business funded! Maia Hardy is a loan officer with Community LendingWorks. Maia is passionate about creating sustainable local economies and the intersection between finance and community development. In her role at CLW, she educates people and resource providers on capital access, business strategy and overall financial education.